Many studies have shown how important early childhood development is in the brain. Doctors are emphasizing not only how important it is to know how to better stimulate your child’s brain after birth, but also how important it is that while in the whom your child’s brain is also being stimulated. 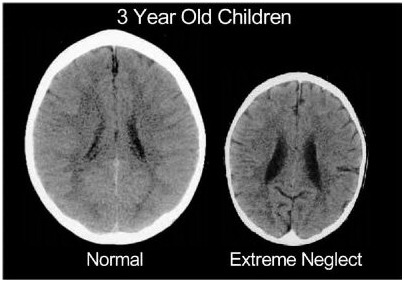 A child’s brain begins developing at about three weeks after they are conceived. That is why it is important from the start of your pregnancy to take care of yourself and your unborn child. The emotional state of the mother and her surroundings are critical to the baby while still in the whom. Learning accelerates in some areas such as reflexes and movement after the child is born. While children are in the whom, they are experiencing their biggest growth spurt. It is important that you provide stimulation for your baby to start learning while in the whom. Since babies are mostly aware of the outside environment due to sounds, it is important that you have a welcoming and calming, you can achieve this by doing things such as playing music. It is also important that while your child is still in the whom you get them used to daily noises, such as the vacuum cleaner and lawnmower. Development after your child is born is equally important. There are certain “windows” for types of learning. Your child’s vision begins rapidly improving at two to four months, language is acquired most easiest during the first ten years of your child’s life. At five to six months babies begin recognizing their parents and sibilings and their motor and sesnsory abilities greatly improve. Seven to twelve months is when they begin their mental improvement. They are able to identify objects, themselves, and learn how to produce sounds. At the ages one to three their coordination develops, they have better motor skills, and dislike being separated from their family. At the ages of three to six they begin to have a better attention span, and begin to be more curious to objects and noises. It is important after birth, when your child is developing, that you know what to do for each learning stage. When your child begins speaking, repeated exposure to words helps the brain build neural connections. This enables your child to learn more words later on in their life. Good and bad experiences help to wire a child’s brain and nervous system connection. When a child experiences loving interactions the brain is greatly ‘stimulated. When a child does not receive any stimulation the brain tends to make fewer connections. Stress is also a dangerous factor to a child’s brain development when the stress is frequent or prolonged. Sadness or a small amount of fear can help a child with everyday challenges down the road. It has a good picture of the child's brain. Its important to learn about the development of the child while growing up. I would say a B+. Formatting (Text & Pictures): exalent formating short and sweet to the point!